Students will practice the strategy of predicting meaning and content before they read. 1. Before class, compile 3-4 different images that represent a specific text. For literature, these images might be book covers, for social media they might be photos and/or gifs, and for news articles they might be images or drawings. 2. Project the images on the screen (and/or print them out for the students to look at). 3. Tell the students to think about the fact that all of these images represent the same text. Have them work individually for five minutes to compare and contrast the images using a Venn diagram. 4. Once the students have completed their Venn diagrams, tell them to turn to a partner and discuss for three minutes the observations they’ve made. 5. Engage the students in a whole class discussion about predictions for what the text will be about. Ask the students to justify their predictions by linking them back to their observations of the images. As the students respond, write their predictions (key words) on the board. Once you have a complete list of students’ predictions, take a picture of the list before erasing. 6. Ongoing: as the students read the text, revisit the list of the predictions and verify their validity. This process can happen corporately or individually. 1Adapted from Bell, T. (2013). Innovative approaches to teaching literature in the world language classroom, In S. Dhonau (Ed. ), MultiTasks, MultiSkills, MultiConnections: Selected Papers from the 2013 Central States Conference on the Teaching of Foreign Languages (127-139). Eau Claire, WI: Crown Prints. One of the speaking strategies that any language learner can use is asking for clarification during conversation. This activity provides learners with the opportunity to observe and practice interjecting in a conversation. Which of these strategies have you used before in your L1? L2? How prepared do you feel to try and use one of the strategies that you observed? Do you have any questions or hesitations? What do you need to know in the L2 to engage in the strategy that you don’t already know? 3. Next, provide learners with the first page of the Sorting Activity Handout and give them five minutes to work individually and sort the phrases into the correct columns. If learners do not know the meaning of all of the phrases, direct them to use semantic and linguistic patterns to guess the appropriate meaning of the phrases. 4. At the end of the five minutes, discuss the phrases with the learners and lead a think aloud to help learners discern the meaning of the phrases that they didn’t understand in Step 3. Also, make sure that they understand the situations in which those strategies and phrases can be used. 5. Next, have students engage in interpersonal interactions that align with your current curricular needs and direct them to use the Sorting Activity Handout to support their selection of strategies for asking for clarifications. Everytime they use a strategy, they should make a note in some way. 6. At the end of class, have your students write a brief exit ticket in which they list the strategies they used in class and identify the ones they would like to practice more in the future. If you would like any examples of interpersonal scenarios to use in class, feel free to reference to this handout and adapt accordingly. This activity of the week is included to complement this week’s Topic of the Week and offers a variety of ideas related to listening strategies that are beneficial to learners of all proficiency levels. Identify listening strategies that they can use before, during, and after listening. Articulate a plan to use a few listening strategies. Practice a few listening strategies. Demonstrate conscious awareness of their personal listening strategy use. 2. Next, ask learners to offer their favorite audio texts in the target language. What types of texts would they like to listen to? What would they need to better understand those texts? 3. After that discussion, discuss with learners that you will be working together so that they understand strategies to use before listening, during listening, and after listening. 4. Have learners brainstorm the strategies that they use while listening in small groups. After the brainstorm, allow each group to document strategies on the board as either pre-listening strategies, during listening strategies, or after listening strategies. 5. Discuss the strategies that learners brainstormed. Augment their offerings from your own experience and/or the strategies in the Listening Skills Strategies Sheet. 6. Ask learners to do a quick self-assessment regarding the strategies on the board. They should, in their own notes, make a list of the strategies they know and use, the strategies they would like to use more, and the strategies they either are unfamiliar with or don’t understand. 7. Ask the learners to vote on 3-5 strategies that they don’t know or understand and inform them that you will spend time modeling those strategies in the upcoming weeks. If time allows, feel free to go ahead and model a strategy or two. 7. Pass out the student handout. Ask learners to plan how they will handle the next audio text that you will use in class. It should be a text that aligns with curricular needs. Allow learners time to fill out the handout. 8. As students listen to the text, direct them to consciously engage in the strategies they have selected. Were the strategies helpful? How so? Did the strategies help you focus? How did strategy use impact your stress, if at all? Is there a strategy that you tried that you want to practice more or need more modeling from the teacher for? Which one? 10. Read the reflections and use them, in concert with the student handout the rest of the school year to remind learners to continue both modeling strategies and remind learners to engage with strategies as they continue to grow. This activity is designed to support teachers in crafting assessment policies and lesson design that facilitate risk taking and communication in the classroom. First, examine your grading policy. Ensure that the weight of your formative assessments is very low. This approach maximizes opportunities for learners to practice before summative measures without fear of it hurting their grades. Next, examine how you grade. Make sure that you are using rubrics (typically with four levels of achievement: Below expectations, Meets expectations, Exceeds expectations, Exemplary status) that are framed positively- that is, they define the work that is expected at each level instead of defining the possible deficiencies at play (e.g., Student communicates using memorized words and phrases instead of Student does not form complete sentences). Avoid attributing the loss of certain point values to certain errors related to form (e.g., minus .5 points for orthographic errors) as this type of grading can discourage motivation and cultivate an environment in which learners privilege vocabulary and grammar acquisition over meaning making. After that, consider the extent to which you empower learners to effectively deal with the unknown. Ensure that you teach them strategies (i.e., circumlocution, scanning, or predicting meaning) for learning and communication. Make sure that you protect time for practicing those strategies during class. Finally, ensure that your classroom activities adequately prepare learners for their summative assessments. If your classroom activities are focused on form and your assessments are more focused on meaning making, there is only a slim possibility that your learners have tried to achieve your expectations before assessing. Make sure that you empower learners by allowing them to try hard things before (and during) the final assessment. That way, they will have a clearer idea of how they are performing, what they can do to improve, and how to continue to push themselves in summative contexts. This activity highlights the way the physical environment structures human communication. A working knowledge of this basic principle is tremendously helpful for language learners. When we communicate, we use our bodies, media, and other objects to structure communication and attention. This lesson focuses specifically on using the environment to construct compliments, but it also serves as a more general example of the way the material world provides just-in-time resources to support any functional, situated communication. Materials: Pen, paper, and your classroom (or other target) environment. Novice: express admiration or approval of someone’s work/appearance/taste. Intermediate: open and sustain conversation. Novice: It may be necessary to help students identify appropriate objects/artifacts to incorporate into compliments to express admiration or approval. Example items include articles of clothing, stationary supplies, etc. Orienting question: How could nearby items be used in compliments to express admiration or approval? Intermediate: It may be helpful to identify several environmental features to get students oriented to the task of using environmental features to open and sustain conversation. Example items include academic work samples, creative work samples, physical styling, conversations (e.g. a recent topic or ongoing discourse). Orienting question: How could these objects/artifacts become “keys” or “tokens” to open and sustain conversation? Advanced: Learners will need to identify which features within the environment they authentically identify with. Additionally, learners will need to identify a specific speech partner who shares a similar perspective with regard to the objects, speech utterances, or media. Example items include work samples, recent conversations, recent media (audio, video, images), clothing, other identifiable elements within the environment (e.g. curricular themes, relevant local/youth culture, etc.). Orienting questions: What is something you and your speech partner both identify with? How could you use that/those item/s to “get on the same page” with them and build a sense of mutual identification, affinity, and connection (AKA solidarity)? Explain. In the same (or new) pairs, have students explain why the language samples they came up with function as compliments. Also, have them articulate why the items they chose were selected and see if they can identify any other object(s) that would function more powerfully as “compliment generators.” For novice and intermediate learners, these explanations will most likely be articulated in the L1. Novice: Learners vote as a class which compliments and objects make the best pairs. Intermediate and Advanced: Learners discuss (as a class) which compliment/object pairs were most appropriate, convincing, and functional/powerful. Novice: Students are encouraged (or assigned) to continue noticing and practicing throughout their day how features of their environment can/must be used to express admiration or approval of others’ work/appearance/taste. Intermediate: Students are encouraged (or assigned) to continue noticing throughout their day how the environment structures discourse and attempt to use features of their environment to open and sustain conversation. Advanced: Students are encouraged (or assigned) to continue noticing throughout their day how the environment structures discourse and continue to practice using features of their environment to establish/confirm/maintain solidarity. In this activity we are going to see how a scavenger hunt game can be done with the help of Google Translate’s picture translation feature. Before doing the activity, have your language learners download Google Translate’s app. You could use any other similar app that you are familiar with. For this part,with the help of your learners, put street signs of the target language on different walls of the classroom. Have learners walk around the classroom and read the signs. They are not allowed to use their apps yet. Students walk around the classroom and talk in pairs or groups and try to guess the meaning of the words on the signs. They can write them down on a piece of paper. Learners can use a sheet like Worksheet #1. Was the machine translation accurate? Did you identify any errors? Do you think machine translation is helpful? Will you use it in the future? In the end, go over all the signs, explain the correct meaning of each sign, and discuss the errors and the limitations of the program. The purpose of this activity is to engage novice learners in critical, higher-order thinking while simultaneously facilitating target language output. In order to complete this activity, students will first dissect key terminology utilizing context (imagery and language). Then, students will observe various fashion competitions to draw conclusions regarding appearances and beauty. 1. Learners will complete the onboarding process for Covet Fashion. 2. Learners will begin Phase 1 of the Phases 1 and 2 Handout by using context (photos and written descriptions) to identify and make predictions about the meaning of domain-specific vocabulary. As they do this step, they will submit their first Limited Time Challenge. 3. Learners will complete the rest of Phase 1 by using their predictions to work with a partner and create a semantic map of the domain-specific vocabulary they defined. It is possible that teachers will need to intervene at this step to help learners verify predictions and/or to point out linguistic patterns to help learners dissect the terminology. 4. Learners will work in pairs to complete Phase 2 of the Phases 1 and 2 Handout. In this phase, they will vote on fashion challenges. As they vote, they will make predictions about whether the outfits they select will receive a high or low score. They will note if they are correct and any observations/ideas they have about how others are scored. a. What types of clothing are most liked? b. Do the body types of the models impact how their clothing is rated? How? c. Are there skin colors and hairstyles that seem more highly correlated with high scores than others? d. Is there anything else you noticed? 6. Select a specific Limited Time Challenge or Jet Set Challenge (scores will post for Limited Time Challenges in a couple of days, and scores will post from Jet Set Challenges in 8 hours). Have learners return to Covet Fashion and work in pairs to try to earn the highest score possible. 7. The next time you have class, review the results to see who won in the class. If possible, have learners share images of their outfits and the results. 8. Revisit the discussion questions from Step 5 in gallery walk format by getting four pieces of butcher paper and writing one question on each piece. Place the four pieces of paper around the room. Divide the students into four groups at random and assign each start group to a specific sheet of paper. Give each group a minute to respond to the question on their paper before rotating to the next sheet. 9. Work as a class to use the learners’ experiences and observations to create a list of 5 tips for players wanting to earn the highest score possible in Covet Fashion. 10. Use images from fashion and beauty magazines in the target language to decide whether or not your 5 tips still would apply in the target culture. The purpose of this activity is to exemplify appropriate L1 use in the world language classroom. Specifically, we focus on the role of the L1 in facilitating deep inquiry and reflection. Materials: Three transcripts of leave-takings in the L2 that involve pre-closers (utterances that indicate that the conversation is about to end without explicitly ending the conversation). Provide learners with a few transcripts of conversations that includes leave takings. Novice: Learners underline any pre-closers. Intermediate: Learners underline any pre-closers and compare/contrast them to what they normally do in the L1 in a Venn Diagram. Advanced: Learners read a target language etiquette guide to understand the complexities of saying goodbye and color-code the transcripts based on whether or not utterances adhere to or flout the norms they read about. They use this knowledge to set goals for themselves for future interactions. Novice: It may be necessary to provide one or two words in the L1 to clarify expectations in the L2 as they relate to the use of pre-closers in leave-takings and/or provide examples of pre-closers in the L1. Intermediate: It may be necessary to allow use of the L1 to engage in highly critical analysis of the extent to which one’s practice is indicative of L2 conventions. Advanced: Learners may need to engage in reflection and evaluation of what they have learned and the degree to which they can incorporate it in their practice in the L1. Look at the interactions as a class and use inductive reasoning to articulate a series of expectations regarding the use of pre-closers in the L2. For novice and intermediate learners, these expectations should be articulated in the L1, and the discussion that contributes to their articulation will also be largely in the L1. Revisit the transcripts at hand. Novice: Learners vote as a class if the transcripts they read were appropriate based on the expectations articulated in Step 2. Intermediate and Advanced: Learners discuss (as a class) if the transcripts they read were appropriate or inappropriate based on the expectations articulated in Step 2. They make changes so that the conversations that were inappropriate are appropriate. Novice: None unless there are significant misunderstandings. Intermediate and Advanced: Brief commentary or discussion regarding the exploration or comprehension of nuanced language. Engage in creation related to leave takings. Novice: Students create a short comic strip or meme that showcases leave takings with pre-closers. Intermediate: Students create a comic strip or series of memes that utilizes pre-closers in such a way that it showcases both appropriate and inappropriate leave takings. Advanced: Students create a comic strip or series of memes that utilizes pre-closers in such a way that it showcases both appropriate and inappropriate leave takings. They must demonstrate knowledge and understanding of cultural values related to leave-takings through careful incorporation of content. All levels: Clarification of cultural nuances and visual communication strategies (such as the use of gestures) that may not have been explicitly discussed or evident in the transcripts. At all proficiency levels, teachers should use as many communication strategies as possible to facilitate use of and thinking in the target language. However, if deep thinking and inquiry are impossible in the L2 given the learners’ proficiency, educators are encouraged to permit the use of the L1 and to set very clear expectations regarding the extent to which the use of the L1 will be permitted in class. Setting such expectations will not discourage L2 growth, but rather ensure that learners are engaged cognitively in higher-order processes. Such engagement is a critical factor in motivating ongoing, sustained learning. Ask language learners if they know the difference between academic and creative writing and how they might be different/similar. Then write their comments on the board. What is the difference between academic and creative writing? And what are their characteristics? Do you know any examples of the two styles? Explain to learners that they are going to write a short story. Tell them they have the choice to choose their own topics or pick one from the list you will provide. Students can also use the Iinternet for doing research if needed. However, the story should be written in their own words. Learners can work individually and in pairs or groups. Ask them to find a partner/s before starting. Give students a few minutes to discuss in their pairs or groups and choose a topic. After that explain to them that they can themselves be the heroes of their stories or they can create a new character. The students can use the following -wh- questions to help them create their short stories. When was it? What year? A long time ago? Or recently? Was it a happy or sad story? Explain to learners that since it's creative writing, they don't have to limit themselves to these formats. After that, give learners some time to write their stories. Provide a blank sheet of paper for learners to write their stories on. Students can also illustrate their stories if they are good at drawing. Then provides some tape and ask students to stick their stories to the walls all around the classroom. Then explain that you are going to have a gallery walk in which you will walk around the classroom, read the short stories, leave comments, and rate the stories from 1 to 5 (5 as the highest point). This activity will provide the peer review students will need. You can also create a story book in the end. The activity of this week is a full lesson plan that can be used for the very first class of a Persian beginner course. Here is an overview of the lesson plan. The class starts with watching a video about the Persian culture. The class continues with an introduction to greetings in the Persian language and a basic TPR method activity for introducing oneself. In this section, the class will continue with more engaging activities that will help Persian learners practice greetings and introducing themseves. 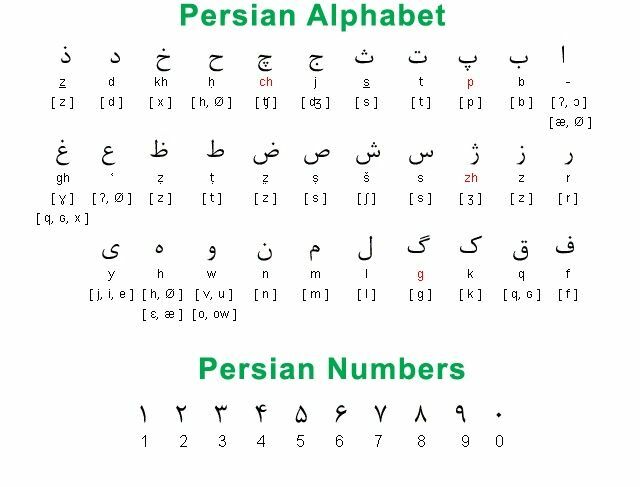 This section includes directions to a writing activity that can help learners connect to the Persian language on a more personal level by learning how to write their own names in the target language. The activity that is chosen for the homework will give learners an opportunity to go beyond the classroom and connect to the real world (heritage community) by finding a Persian speaker and practicing the language. You can find the full lesson plan with details, in this link! This activity was created to help teachers implement student-friendly rubrics for Integrated Performance Assessments (IPAs). Each of these rubrics is aligned with the 2012 ACTFL Proficiency Guidelines and involves the articulation of indicators of mastery, or content and genre-specific expectations, for learners that accompany the rubrics. The highest level of achievement should require a bit of risk-taking (e.g., applying knowledge in a new context) and should describe learners beginning to develop the next sub-level of proficiency. The third highest level of achievement should describe learners squarely performing at the targeted sub-level of proficiency. The second highest level of achievement should describe learners for whom the targeted sub-level of proficiency is emerging but inconsistently met. The lowest level of achievement should describe learners who generally do not perform at the targeted sub-level of proficiency. Next to the descriptors for each mode (and interculturality), create an additional column. You will use this column to articulate your indicators of mastery. Review the IPA that you are going to give students and identify the specific content and genre-specific knowledge (e.g., targeted structures, registers of language, and structural and rhetorical devices) that will be demonstrated by learners performing at the highest level. Take note of these expectations. Level 1: Targeted structure/genre-specific expectation/interpretive question or task type was attempted. Level 2: Targeted structure/genre-specific expectation/interpretive question or task type appears in student work with correct treatment from time-to-time (the specific number of times may be articulated by teachers depending on the assessment). Level 3: Targeted structure/genre-specific expectation/interpretive question type or task appears in student work with correct treatment with general consistency (‘general consistency’ may be specifically defined by teachers depending on the assessment). Level 4: There are few, if any errors, in student work regarding the targeted structure/genre-specific expectation/interpretive question/task type. Some risk-taking with the targeted structure/genre-specific expectation/interpretive question task or type is evident. Consider your indicators and eliminate redundancies. Each higher level of performance assumes that all of the previous level has been demonstrated, so it is unnecessary to articulate the same expectation more than once. Review the rubric and indicators of mastery with your learners often throughout the course of their learning activities designed to prepare them for the IPA at hand. Connect their learning activities clearly to those expectations. Deliver the IPA. Protect time for learners to use the indicators of mastery to predict their scores. Score the IPA. Simply begin at the lowest level of achievement and start checking off the indicators of mastery that appear in the student work. Once you arrive at indicators of mastery that are not represented in student work, stop checking them off. Assign the score that corresponds to the place on the rubric you were when you stopped checking. Reflect on your students’ work and your indicators of mastery to determine what changes, if any, should be made before the next time you deliver the IPA. Take note of those changes. Sometimes, particularly with interpretive assessments, learners may actually answer the most difficult questions well but miss some of the more basic ones. For these students, use a best-fit approach when determining their grade in lieu of strict adherence to the process described in Step 8. At most schools, mastery rubric grades have to be converted to the 100-point scale. A general rule-of-thumb to guide this process is to make Level 4 an A, Level 3 a B, Level 2 a C/D+, and Level 1 a D-/F. To introduce the topic, ask students if they have any idea what small talk is. Then ask the following questions and write the students’ answers on the board. You can add other possible answers. This will help students review their previous knowledge regarding the topic of the lesson. Here is an example of how your board might look. Then, explain briefly that small talk is a way of conversation to make people feel better or to be friendly and polite. Give some examples to make it more clear. In the video, Barry Petersen talks with experts in social cognition and chit-chat to find out the do's and don't’s of making small talk at your next festive gathering. Watch the first 20 seconds again, and ask students to focus on what is being said. What are you guys doing for the holidays? Anything spectacular? I’m Tracy. I’m Joe’s wife. Watch the video from 00:20 to 01:35 and ask learners to take notes on the Small Talk Worksheet. Then, ask learners to compare their notes in groups/pairs and discuss if they agree or disagree with the comments that were made in the video. Watch the last part of the video from 06:35 to 07:13 and ask learners to take notes. Then students will do the next agree/disagree activity in pairs/groups and discuss their reasons for agreeing or disagreeing. Have students work in pairs/groups and answer the following questions. Ask them to share personal information and discuss how small talk works in real life situations. Work in groups/pairs and write a possible small talk question and a preferred answer for each topic and then practice role playing it with partners. This activity is designed to promote learner creation of knowledge by connecting verb tenses to contexts that should be familiar to learners in other areas of their life, change and time. Specifically, it examines traditions against their modern counterparts. The lesson is designed to push beyond grammar instruction to involve exploration of salient social topics, critical thinking, and student autonomy. As written, this activity is most suitable for Intermediate learners, but novice learners could engage by making word lists and using chunks, while advanced learners could engage in more in-depth discussions. 1. Have students complete the I see, I think, I wonder thinking routine. Show them an image or video of a traditional cultural practice (e.g., matchmaking in ancient China). Then, give students one minute to write down what they see—objective observations without subjective conjectures. Next, give students a minute to write down what they think about the image—what do they expect is going on? What is their impression? Finally, give students a minute to write down what they wonder about the image. 2. Repeat Step 1 with an image of the traditional practice’s modern counterpart (e.g., Shanghai’s People’s Park marriage market). 3. Discuss student’s responses in Steps 1 and 2 as a class. 4. Next, ask students to use their observations and thoughts from Steps 1 and 2 to brainstorm how to discuss change over time. Help students generate a vocabulary list and targeted structures as a class. 5. Next, provide grammatical scaffolding so that the students will be able to talk about change over time using the correct verb tenses. The type of scaffolding will depend on target language, but will most likely involve a lesson in verb tenses (e.g. past vs. present) or aspect. a. What are some similarities between the traditional and modern practices? b. In what ways are the two practices different? c. What type of social shift does the change in practices represent? d. What is the impact of the social shift? 7. To practice talking about change over time, have students pretend they are talking with grandparents or other elders about how things have changed over their lives. They should offer the small shifts in family practices they have experienced themselves growing up. For example, students might say that when they were little and playing outside, their moms would blow a whistle to indicate when it was time to come in while now, their moms text them to come home. i. Has it benefited the society by creating more social equality? ii. Has it resulted in a loss of valuable traditions? To facilitate learners’ choice of genre in Step 8, either limit their choices to the genres you have already discussed in class or offer to discuss genre-specific conventions with learners individually when they select their presentation format. 1. As a whole class, create a list of different ways to greet someone in students' and teacher's L1. Aim for 6-10 examples, supplied by students. Next, discuss the dimensions of social distance, power relationship, and degree of imposition (read more about these here). Here is an example of what the board might look like at this point. 3. Repeat the above two steps with target language greetings. Start with student-generated greetings, and then add more as appropriate. 4. Taboo/charades: Put students into groups of 2-3. Each small group will choose one target language greeting from the board and think of an appropriate scenario for using it. What can they do to get the rest of the class to guess which phrase they've chosen, without actually saying the phrase? One group at a time, students act out their scenario using props (for example, a tie and fancy hat to indicate a powerful person or a baggy hoodie to indicate a young person), roles (for example, one person acts like a teacher and another acts like a student), and internal monologue (for example, someone saying "Oh no, I've got to hurry!" to him/herself as he/she approaches the other person). The rest of the class determines the intended greeting based on these cues to power, closeness, and imposition. Presentation: The teacher introduces the topic of apologies in the American English. She gives example phrases that can be used for apologizing. A good apology usually has two main components: the verbal articulation (i.e. Excuse me!, I’m sorry, I am terribly sorry, I apologize, etc. ), and an explanation to add sincerity to the apology. Apologies can be frequently used by everyone in daily conversations. The phrase “I am sorry” can also be used for showing sympathy. For warm up, teacher asks learners to think about the last time they apologized to someone. Then find a partner and share it with them. They can also add if the apology was in English or their mother tongue and how it might have been different from apologies in American English. For scaffolding, the teacher asks students to think about what the steps to a good apology are. Learners can work individually or in pair/groups and write down the steps. The teacher then asks students to share what they came up with and writes it on the board. Next, the teacher uses an infographic that presents four steps to an apology. Ask students to compare their steps with the ones in the infographic. Stress that no analysis is more valid than any other. Cut the infographic into four sections and ask students to put them in order. For the next part of the activity, have learners match the phrase lists with the four sections of the infographic. How would they sort them differently using their own steps? The teacher provides different apology scenarios. Student will work in pairs/groups, discussing which previously mentioned steps each apology includes, if the apology is appropriate or not, and how they might be changed. They can rewrite their own apologies if preferred. Last week's Activity of the Week focused on different components of an invitation sequence. This week's Activity of the Week also deals with pragmatic considerations of invitations, but focuses especially on power and social distance. Analyze invitation exchanges between people of different relationships (power and social closeness). Identify elements that are the same and different when relationships vary. Present pragmatically appropriate invitation exchanges for a variety of relationships. Reflect: Distribute the Power and Closeness Reflection handout. Have students work in pairs or small groups to discuss and answer the questions, then share their observations with the whole class. Have students watch several YouTube videos that present examples of how to extend an invitation to people of distinct power differentials and levels of social distance, or closeness (i.e. extending an invitation to a friend, a sibling, an elder relative, a stranger, a coworker, etc.). Ideally, these differing power relationships and degrees of social distance will yield distinct strategic and linguistic approaches to successfully extending an invitation. For example, if the target language uses an honorifics system, then you would want to select examples that illustrate how to extend an invitation to people of several different honorific statuses. While they watch, student should take notes on the Invitation Handout about the language and strategies used. Once finished with the videos, students should use the Invitation Handout to analyze their observations and think about what similarities and differences exist between the different invitation strategies they viewed. Direct them to consider the relationship between speakers based on familiarity, age, status, etc. In pairs, students will create two skits in which they extend invitations to people of distinct power relationships and levels of social distance using the language and strategies they have just learned. Pairs will circulate and, in groups of four, each pair will present its favorite skit to the other pair. Allow time for several repetitions. Once students are back in their seats, ask for consensus on a skit that people found most interesting in terms of power and social distance. Ask that pair to perform the skit once more, and have the rest of the class take notes on their Invitation Handout. Using the Observe activity on the worksheet, ask learners to sort the invitation chunks into three categories. Then, have them compare their answers in groups. Debrief as a whole class to discuss any chunks that students are unsure of. Solicit a few original chunks in each category from the whole class. Model two sample invitation sequences with stick figures on the board. Then, have learners create an invitation dialogue in English with their phrases. Finally, give learners 3-4 phrases in each category in your target language and have them create a dialogue. Ask for a few volunteers to share the conversations. First, ask learners to reflect on the value of each component. Then, utilizing the attached journal template, ask learners to find examples in the target language in community interactions or online. Shows with which you are familiar. For example, your InterCom editor can think of several memorable invitations from 1980’s movies: https://youtu.be/UUZsR3rFjEU, https://youtu.be/qBrwZTJU4Nk, https://youtu.be/xUXjfYFwgZo. Find proficient speakers of the target language and ask them to role play scenarios for you to record: an invitation to a dinner party, for coffee, and to see a movie, for example. Record the unscripted conversations so that your students can view them. This activity focuses on personalization of learning through an articulation of learners’ current interests and how those interests can be leveraged for the development of in-the-wild language informants. The activity is designed to highlight and cultivate opportunities for strategic, autonomous learning within learners’ own sphere of interests and (potential) contacts. List and record basic information about their interests. Identify preferred social practices related to students’ everyday life. Identify people in their lives who may potentially serve as resources for (language) development. Develop mentoring relationships in support of their learning objectives. Procedure: With your students, read Part I. Then, have students fill out the handout provided. Note: It will be helpful to project these prompts while students are filling out the worksheet. What kinds of things do you look forward to in life? Think about the days where you are excited about getting out of bed, what kinds of things are happening on those days? Choose 1 or 2 of the items you wrote down in circle A. Then, write down a few specific activities you enjoy doing connected to each item in circle A. For example, if art or creativity is in circle A, then B might include things like: photography, drawing, or social media. Or, if physical fitness is written in circle A, circle B might include: perfecting a trick on my skateboard or running. C. Who do I know or want to know connected to these activities? Is there anyone new you can imagine doing this activity with? Think of people you don’t know very well who you would like to know better, people you could participate with. Does anyone come to mind who you could practice your target language with, either individuals (e.g. your classmate “Raj," or your neighbor “Jules”)? It might be easier to think of types of people (e.g. Instagram contacts who also like to skateboard or service workers at a local ethnic market). Write down the names (or kinds) of people you could do your activity with. See if you can list more target language contacts than people who only speak English. D. What activities might you like to do with others in the future? What activities could you imagine doing with your chosen (target language) contacts related to the activities you listed? How could you realistically meet and get to know these people in ways that would be fun, connected to your interests, and benefit your language development? Keep in mind, the more mutually beneficial the interaction is the more likely it is that they will be eager to participate and be interested in developing a mutually beneficial relationship. List any activities you think would be fun to use as practice for developing relationships with language informants. Have learners record their responses to the Self-Mapping prompt in the space provided. Students can gain motivation, exercise autonomy, cultivate language informants, and recruit adult supervision by using their self-map and journal reflection to craft a plan for in-the-wild language engagement. This activity is designed to help students engage with a target community as they simultaneously try to increase their language proficiency and social competences. It is designed help learners become aware of how their words and actions are received by expert speakers, reflect on their experiences, and make adjustments according to their needs and goals. This activity is best suited for intermediate-advanced speakers. First, students should identify a specific target community. This should be more specific than “French speakers” or “Chinese speakers.” Instead, they should aim for something with a narrower scope such as “Chinese-speaking World of Warcraft gamers” or “French speaking college students in cities.” For each narrower community, there will be a different set of social and linguistic norms that may vary from the theoretical “standard” variety of the target language and culture. Once students have identified a target group, have them think about the ways that they can engage with that group. For example, one could join a sports club, go to an event in the community, hangout at a specific café, or talk to players of a specific game. Prepare: Jumping right in can be nerve-wracking for some. To help learners prepare for what to expect, they should think about possible topics that the target group likes talking about or activities that they might enjoy and brainstorm language they might need to engage with them. Take the leap: Now that students have thought about how to engage with their target group, they must do it! The only way to improve their communication with that group is to practice. Interact: As learners engage with members of the community, they need to pay attention to how community members react to their use of language and other communication strategies such as the use of gestures. For example, perhaps a student tried to make a joke, but it didn’t land, or it went great! Document: Immediately after each interaction, learners should jot some notes in a journal paying attention to how their language, gestures, and social tendencies were received. It is especially helpful to write down specific phrases and instances that stick out to them so that they will remember what was said later. Reflect: Have students look back at their observations from a particular interaction or a series of interactions. They should then think about the following questions. How did community members interact with one another? What did they say/do? Overall, how did the interaction go? How did you feel after the interaction? Why? Would you say/do the same thing next time? Why or why not? What might you do differently next time? What might you do the same? What strengths do you want to keep developing? What are some areas for improvement and how will you go about improving them? Now that students have reflected on their previous experience(s), it is time to try again! Have students repeat the whole process and continue to engage with the target community in new ways, observing and reflecting as they go. Developing social and linguistic competences is a long process and students should be prepared to experience difficulties. However, as their competences and confidence grow, they will be able to connect to community members in new and deeper ways. Before you try anything out in the classroom, try something out for yourself. Please note, if you have any injuries or limitations you may consult a doctor or wellness expert as well as search online to find adaptations in poses. Grab a pencil and paper plus yoga mat/towel/blanket. A pillow may be handy for sitting or kneeling. Roll out your yoga mat/towel/blanket. Sit down. Take two minutes to free-write. The topic: “How I will let what I want to be inspire rather than terrify me?” Now, jot down (using only adjectives) the language teacher you were today and one you would like to be most like. After the free write, stand at the top of your mat feet hip width apart. Check in with your body. How does it feel? Thank yourself. I recommend being ridiculous, shaking your own hand, and saying a hearty “Well done, you handsome devil you!” Making it to the mat was the hardest part. Welcome. Let’s get nourished and have some fun! Before beginning the video, close your eyes. Your lungs are life-giving balloons. Take a big sip of air as you breathe all the way into your stomach and let all four corners of your torso inflate. Exhale. Repeat x3. Try on a small smile. You magnificent creature you! One quick question. I recommend going with the first thing that comes up. What is the top quality you would like to emanate and impart with ease in your classroom this week? Press “play” on the Yoga With Adriene “Yoga For Teachers” video. Complete or go as far as you can. Once the video has finished, say a quick thank you to your body for all it does. Give yourself a few minutes and move at your own pace into the final step. In your mind, note: how and where do your body and mind feel different? Pencil and pen, List what you did well as an educator this week. Whatever word(s) came up in Step 9, please now take the biggest inhale from your day and say the word in your head with an exhale. As a final step, please now quietly utter, loudly shout, or whatever way feels right to yourself: "I already know how." As Adriene of Yoga with Adriene would say, “The awesome in me bows to the awesome in you.” Thank you for showing up. A healthy, happy teacher is a healthy, happy classroom. May you be an ever-increasing torch in life.